Special Forces of Vietnam War series of BRAVO-6 continues with a new MACV-SOG kit. When the first kit released in March 2012, Vladimir mentioned the series will be three kits with two figures each. Now, the company introduce us B6-35044 MACV-SOG(2) which includes two members of the unit as an American and a Vietnamese with typical jungle clothing and gear. The kit depicts the team signaling to the approaching Huey on a clear LZ. The figures come well packed in standard BRAVO-6 light brown two-figure cardboard box . A photo of the assembled and painted figures covers the front part of the box and can serve as a basic painting guide. Inside the box, parts are represented with the casting blocks which are placed carefully that allows modeler to remove the parts with no damage. Note that rifle barrels are always fragile and should be removed carefully. Each figure body and small parts are seperately inserted in small plastic zip-lock bags to avoid unexpected damages during transfer. The figures are sculpted by Vladimir Demchenko and cast in medium grey resin . The resin quality is very good and details are very crisp. No air bubbles, excess resin or any casting mistakes on the review samples. U.S. member of the team is posed to hold a signal panel over his head. The figure comes in 9 parts; body with head and legs, two arms, hands with panel, weapon and equipment. Face looking upwards shows nice details ; half open mouth, hair, moustache and bonnie hat with narrow brim are well represented. A sweat towel is wrapped around his neck and inserted into his jacket. He wears Black spraypainted jungle uniform of jacket and trousers. The uniform is called Sterile uniform which means it is void of all tags and insignia. 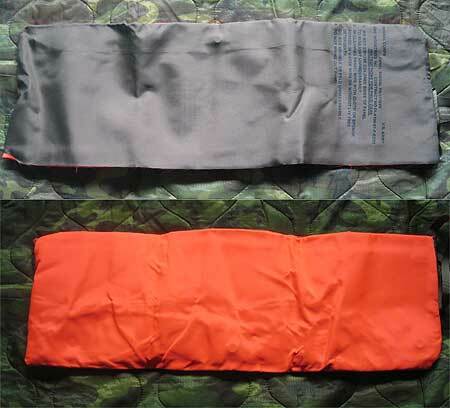 Cloth folds of the uniform are well defined. As for the footgear, he has Long khaki leggings over the jungle boots. During Vietnam War, special forces used these leggings, put trotters inside boots or sometimes secured legs wrapping black electrical tape on ankles to protect themselves from reptile dangers. The figure is heavy loaded and most of the personal gear are cast on the figure. He wears a 1937 BAR belt with STABO ring. 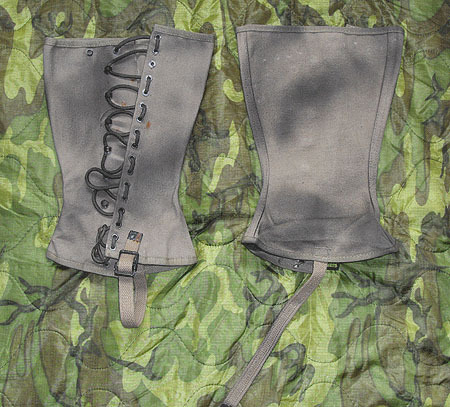 This belt was the first choice of MACV-SOG members and it has 6 ammo pouches, 3 for each side . Four XM177/CAR-15 magazines could fit into each of its six pockets. Typically five pockets held magazines and one held items the bearer wished to retain if he lost his rucksack. Air–ground marker items might have been carried in that pocket. 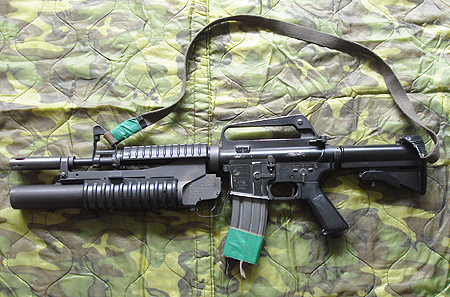 An extra M16 pouch is attached on the center back. 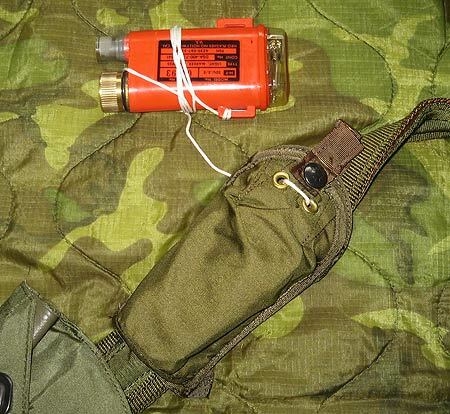 There is a An M1942 first-aid pouch on the left side under the pouches and it is used to carry three mini-fragmentation grenades. On the left hip, he has a M17 Gasmask case secured to the leg with a canvas strap. 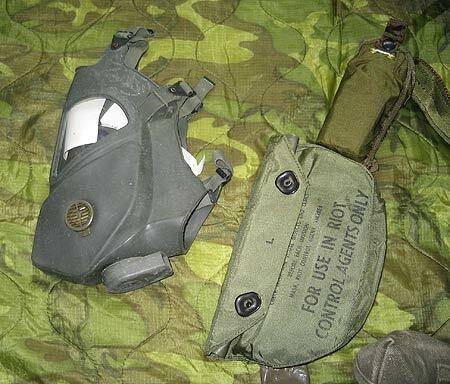 Over the gasmask case, he has a canteen cover which was used as an ammo pouch to carry six magazines. 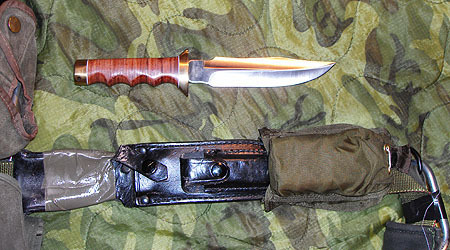 Two Snap links are attached on the suspenders on both front sides, a SOG Recon knife in brown leather scabbard is carried on the left strap and a SDU–5/E Distress Light Marker/Strobolight Marker in pouch is taped to the right. He carries a Tropical Rucksack. 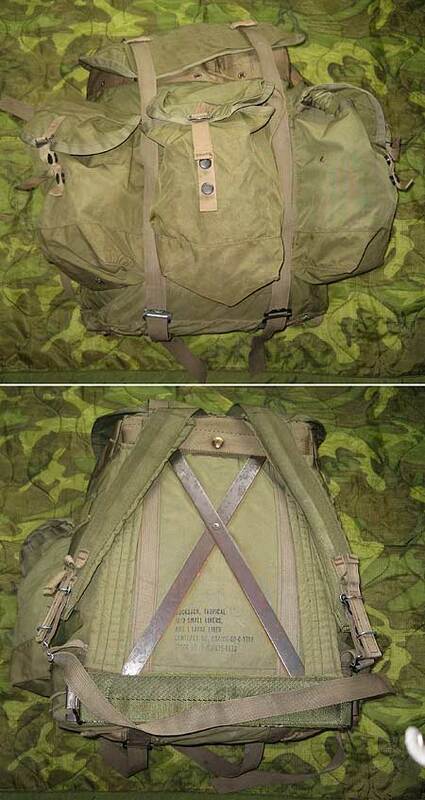 The Tropical Rucksack was introduced in 1968 as part of the M-67 equipment. The 68 dated example that I have has the early plastic snaps on the pockets like all first issue 67 gear. It was first issued to "priority" units including Special Forces, Rangers, and Divisional Recon. It would be more common to see the Lightweight Ruck in a line unit in 1968 than the Tropical Rucksack. This Ruck is easily identified as it has an integrated frame in the shape of an "X" that can be seen looking at the side of the Ruck that goes against your back. This pack was bigger than the lightweight rucksack, but incorporated the same basic ideas of a large compartment with three external pockets.. All details of the personal gear are very well defined. Arms : Posed to hold the signal panel over his head. Cloth folds and buttons on slevees are well defined. Note that they should be assembled carefully to the shoulders for the good fit of hands with signal panel. Signal panel : Hands are cast on the signal panel. This panel carried by special troops is called Air-ground signal panel and is cut from the larger VS-17 Marker Panel. One side of the panel is orange as the other side is pink. Rifle : The figure carries a XM177E1 with a Colt handgrip attached to the rifle as a foregrip. 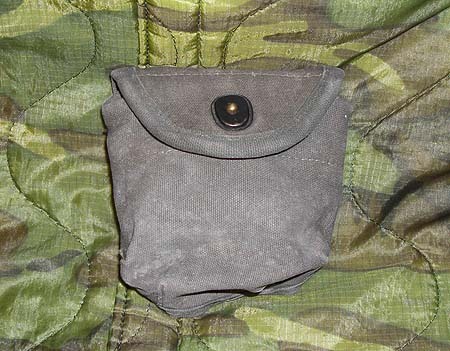 M1956 one quart canteen in canvas cover- 3 pieces : One pouch is given with a AT984 Radio Antenna Pouch attached on it. Handset : It will be attached to the right harness. Indigenous member of the team is posed standing and checking around, ready to fire his weapon. Indigenous members of SOG were not ethnical Vietnamese, these volunteers were called as Montagnards which comes from the French term meaning people from the mountains.They were from the Central Highlands of Vietnam as individuals from multiple tribal groups, including the Bahnar, Jarai, Koho or Mnong. The figure comes in 5 parts; body with head and legs, two arms and personal gear. Asian facial details like high cheek bones, slanting eyes and long straight hair are well defined. A scarf is tied around his neck. He wears a khaki color CISO uniform which was made for MACV-SOG as replicas of North Vietnamese uniform.He has long leggings over his jungle boots and his trotters are inserted inside his leggings. Over his uniform, he wears a M79/M203 40 mm Grenade Ammo vest with multiple pouches. 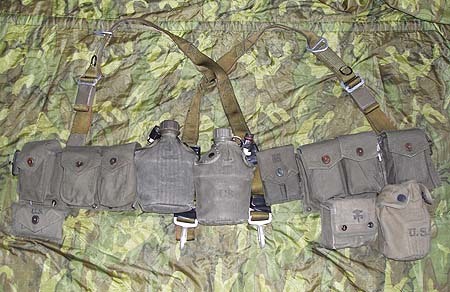 Two snap links are carried on both sides of the neck and a fighting knife is attached to the left side.On the right side,just under the arm pit, he carries a XM28 Tear gasmask case.On his utility belt with groin extension, he has six canvas canteen covers to be used as ammo pouches. As for the backpack, he has a Tropical Rucksack. Details of the uniform and personal gear are well defined. Rifle : The figure carries a XM177 w/M203. Right hand is cast on the hangdrip and left hand is cast on trigger of grenade launcher grabbing the magazine. Do not forget to open a hole for the barrel of launcher. Once again, Vladimir made a great sculpt after a nice search. Canteen covers as ammo pouches, signal panel, modified weapons make this kit really special. This is another great addition to special forces of Vietnam series. Very nice figures for a Jungle or LZ scene. Highs: Very nice poses, unusual personal gear details and standard high quality Demchenko sculpt and BRAVO-6 cast. Verdict: Very nice couple for a Vietnam Scene.